The Governor’s Cabinet on Children and Youth created a workgroup to implement the Apprenticeship Plus Project as a mechanism to improve the economic prospects of young people between the ages of 16 and 24 who have barriers to entry apprenticeship programs. 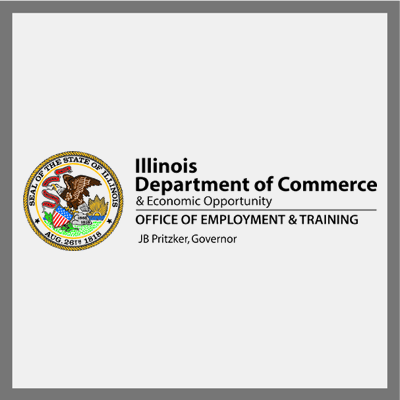 The Illinois Workforce Innovation Board (IWIB) Apprenticeship Committee, the advisory body to this group, oversees the capacity-building and promotion effort in Illinois to create new and expand existing Registered Apprenticeships, pre- apprenticeships, youth apprenticeships, and industry recognized credential programs. The application due date is April 17, 2017. Increase the number of youth earning industry-recognized credentials and post-secondary certificates in high-growth, high-demand occupations. Support and develop at least 10 new apprenticeship pilots in three Economic Development Regions of the state. Develop apprenticeship pilot programs that serve disadvantaged youth, such as youth with disabilities; teen parents; youth transitioning from the juvenile justice system; youth aging out of the child and family services system; and youth with other evidence-based risk factors, who are between the ages of 16 and 24. This funding opportunity will award grants for youth apprenticeship and pre-apprenticeship pilot projects that address priorities identified by the IWIB Apprenticeship Committee and the Governor’s Cabinet on Children and Youth. Projects that are funded under this NOFO must be focused on Youth Apprenticeship and Pre-apprenticeship. See Attachment C of the Notice of Funding Opportunity for information on how to use the federal workforce funds to support the expansion of apprenticeships. This competitive funding opportunity is limited to public and private organizations that are in good standing with the Illinois Secretary of State that have the capacity to administer this program. The Department of Commerce coordinated a webinar to provide organizations with information regarding the application requirements Notice of Funding Opportunity (NOFO) on February 21, 2017 at 1PM. Watch the archived recording and download the presentation below. A question and answer session to support applications for the Youth Apprenticeship Notice of Funding Opportunity (NOFO), addressing questions concerning the application, partnerships, fiscal assistance, and employer engagement was provided on March 30, 2017.